Macaques and likely other monkeys, as well as apes, are technically capable of vocalizing vowel sounds and even whole sentences, not much different from how humans do it. This was revealed by a new study which found no anatomical limitations to keep monkeys from being able to speak. However, macaques lack the neuro-cognitive machinery to generate speech. It’s an important distinction that will be of great use in our quest to unravel the origin of speech. The uniqueness of human vocalized communication is difficult to pin down. For one, speech requires a precise coordination of the vocal anatomy, which includes the tongue, lips, and larynx. This is only half the picture, though, because having a vocal range is not enough. You also require dedicated brain regions that are meant for processing speech. It was never clear if our evolutionary edge is due to vocal anatomy, brain wiring, or a combination of both. An international team of researchers has now simplified the picture by effectively singling out one of these assumptions. “Now nobody can say that it’s something about the vocal anatomy that keeps monkeys from being able to speak—it has to be something in the brain. Even if this finding only applies to macaque monkeys, it would still debunk the idea that it’s the anatomy that limits speech in nonhumans,” said Asif Ghazanfar, a Princeton University professor of psychology and the Princeton Neuroscience Institute, and of the study’s co-authors. Ghazanfar and colleagues used sophisticated imaging technology based on X-rays to trace all the subtle movements of the macaque’s vocal anatomy. The recorded footage was then turned into a model by researchers from the VUB Artificial Intelligence Laboratory in Belgium which could simulate a macaque’s vocal range based on the physical attributes recorded by X-ray. 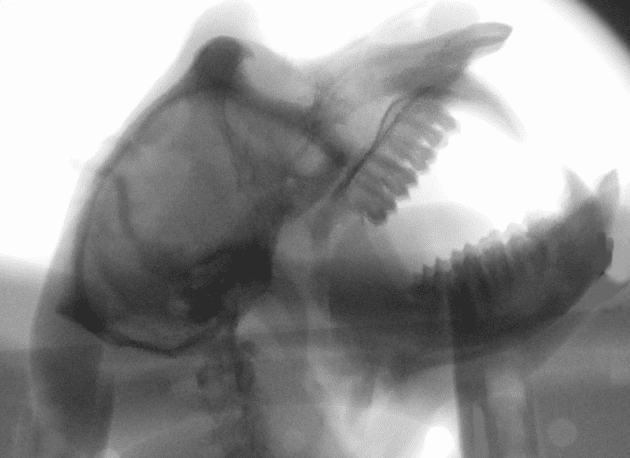 X-rays were used to trace the movements of the different parts of a macaque’s vocal anatomy. Asif Ghazanfar, Princeton Neuroscience Institute. We are able to carry out meaningful conversations because of words. Words start off with a source sound produced by the vocal box, which is then altered by the lips or tongue. For instance, the words “bat” and “bot” have the same vocal source. Its frequencies, however, are then altered by the movements of the mouth and tongue. When a macaque’s grunt or source sound was plugged into the computer model, the researchers found comprehensible vowel sounds can be formed. Were the monkey able to direct its vocal anatomy, it could utter complete sentences. But it would not sound similar to a human, the researchers warn in the paper published in Science Advances. “This new result tells us that there’s still a big mystery concerning where human speech came from,” said Laurie Santos, a psychology professor at Yale University who is familiar with the research but had no role in it. 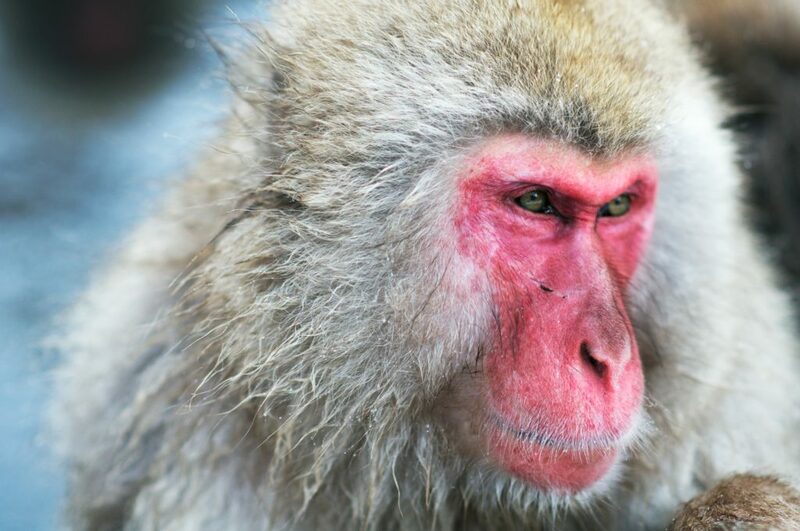 Though the study has only be made included macaques, it’s likely the findings apply to other primate species. Being older in the evolutionary tree than apes, it’s also likely that species like gorillas or chimps also share the same vocal capabilities. “I think that means we’re in for some exciting new answers soon,” Santos said. What will likely happen next is a more in-depth look into monkey and app brains to see what they’re missing that makes them unable to speak. More sophisticated models might also help us unravel the origin of speech in humans.